On Monday the House will be voting on Congressman Fortenberry’s ISIS Genocide Resolution. H. Con. Res. 75, which will be voted on in the full United States House of Representatives, names and describes ISIS violence against Christians, Yezidis, and other ethnic and religious minorities as genocide. The bill has excluded the name Assyrian from the ethnical catagory and has lumped them in a category with other Christian denominations to include the Chaldean denomination (followers of the Roman Catholic Church in Iraq). It should be noted that only in Iraq catholics are referred to by their religious denomination of Chaldean rather than by their ethnical linage as they know themselves in Iran. This separation was an effective tool used by Saddam to ensure divisions existed in the communities of the Iraq regardless of their ethnical ties. This is the main reason why the catholics of Iran are proud to call themselves Assyrians and why the catholics in Iraq call themselves Chaldeans. On 1 MAR 16 NEC-SE posted the article: How and why the U.S. Congress and their backers are destroying the cradle of civilization and eradicating the root of Christianity (the Assyrians). In the article we discussed the recommendations which NEC-SE staff was asked to make to the current House Concurrent Resolution 75 draft. Below are our recommendations and the problems which still are contained in the H.Con.Res.75. The U.S Senate has now drafted its “mirrored” version of the resolution. Senate Resolution 340 has problems similar to those of H.Con.Res.75. 1. We recommended that the word “Assyrians” be added to the Preamble and Paragraphs 1 & 2 in the bill. Reason: the Assyrian ethnicity needs to be referenced like other ethnic group. Not all Christians in the Middle East are Assyrians. The Assyria Nineveh Plain has been the heartland of the Assyrian nation for the past 7,000 years. 2. We recommended that the word “Assyrian Christian” be added to page six, line no. 9. Reason: because the HR75 is speaking about both ethnicities and religious groups. This paragraph was recommended as an addition to the bill to unscore the extent and duration of the genodical crimes committed against the Assyrian nation and the Yezidi people. We also noticed that the language for the 1933 Simele massacre was removed from a previous version of the bill. The dates in the proposed new paragraph specify the years in the twentieth and twenty-first century in which the genocide of Assyrians Yazidis took place. Currently, this is what Congress intends to do because they have not heard the whole truth of the Assyrian Christians’ victimization. Section 6 is unacceptable on several grounds. First, the Kurdistan Region of Iraq (KRI) is praised for sheltering and protecting those IDPs arriving in the KRI. Such praise falls on deaf ears for those inhabitants of the Assyria Nineveh Plain who were systematically, programmatically disarmed by the KRI?s Peshmerga exactly 2 weeks before the ISIS assault on the Assyria Nineveh Plain, 2 days prior to the ISIS clearing operations of the approximately 70,000 Assyrians of the city of Qaraqoush, who witnessed the Peshmerga?s instantaneous retreat from the Assyria Nineveh Plain with their seized weapons as ISIS advanced. This also falls short given every single Assyrian and Yezidi captives-among them raped women and children-were all abducted from either KRG or Kurdish administered areas in both Syria and Iraq while at the same time no Kurdish women were taken captive. NEC-SE goal in writing this article is to empower our readers with the whole truth and complete picture so that your intention of helping the Assyrian Christian community can be realized and that American lawmakers do not unwittingly harm the Assyrians of the Bible and give their lands to non-Christians in an effort to win hearts and minds for only self-promotion, despite the U.S. Congress? best intentions. As it stands now, unless the language of both H.CON.RES.75 and S.Res.340 is changed to include the name “Assyrian” in the resolutions—thus identifying the ongoing genocide of Middle Eastern Christians as specifically targeting Assyrians for annihilation—the long-term prospects for their survivial in the region are virtually nil. The reality, then, is that an emerging congressional bill penned by the hand of the representatives of the American people will effectively bury the Assyrian name for forever while ensuring the death of a 7,000- year-old nation for the short-term benefit of lobbying interests. NEC-SE has not written this article to change the minds of congressional representatives because we know that it is extremely difficult for them to cut off lobbing influence. We have written it as an act of historical accountability. We want to go on record as saying that we warned congressional respresentatives what would happen if they chose not to heed our advice concerning the wording of the resolutions. 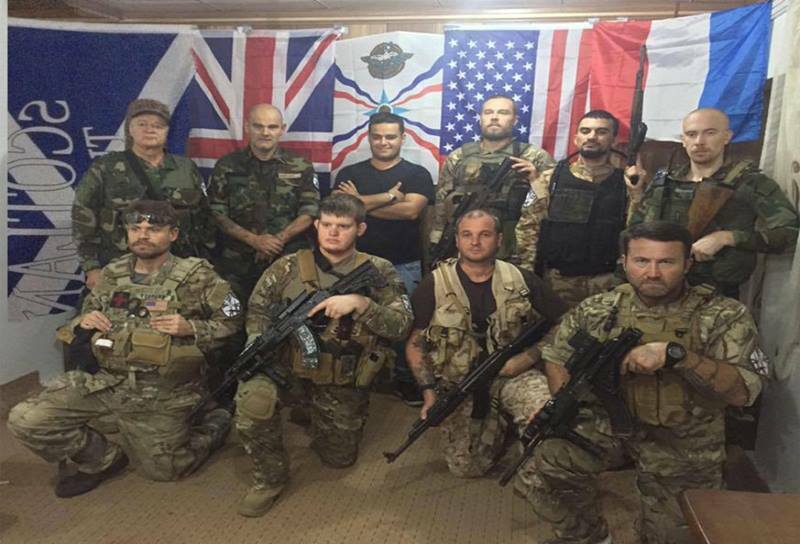 The story of the Assyrian Army is about to be made public soon given they are being eradicated through political military influences targeted at them by lobby interests in D.C. through regional “partners” of the United States. We recommend that our readers share this article with their representatives in the Senate and House. It is our hope that the members of both houses of Congress understand that to exclude the word Assyrian from the resolutions and the bill will do irreversible damage to the reputation of the United States while destroying the ability of Middle Eastern Assyrians to secure their homeland. Policy should not be won or written by monied interests and their lobbyists but by people who believe in the rights of all to have a say in their own future in a unified federalized Iraq and Syria. If the U.S. Congress can not even include the name of the ethnicity that is being eradicated by ISIS in Iraq and Syria it might be time for the United States to cast aside the mantle of world leadership. Is Patriarch Louis Raphael I Sako a religious, political or a military leader of the Assyrian Christian community and forces in Iraq and Syria?